The photo print products use case: A relic of the past? Or teeming with new opportunities? It’s been four years since we conducted our last photo print product survey. Given how dramatically the world of photo taking, enhancing and sharing has changed since, we decided to measure today’s consumers’ behavior and opinions regarding buying photo print products, resulting in The 2018 Photo Print Buying Survey study, announced today. What are the dramatic changes that could very well have changed consumers’ photo print product buying behavior? In-camera AI functionality has drastically improved the quality of smartphones cameras. In conjunction with advances in resolution, depth perception, and low light performance, today’s cameras are enabling consumers to take truly high-quality pictures. A new generation of kiosks is coming to market that are specifically designed to accommodate the needs of smartphone users. How do these substantial changes impact today’s photographers’ photo print product buying behavior? Do they still even order print products? If so, what types of products? What methods do they use to create and order these products? If they haven’t recently (or ever) ordered photo print products, what needs to change in order for them to purchase photo print products (again)? And what are the differences between males vs. females, and parents vs. those without children? Our The 2018 Photo Print Buying Survey study is an attempt to answer these and many other questions that are crucial to the photo output industry. The even better news? The data reveals that current photo print product buyers can well be swayed to order more products. 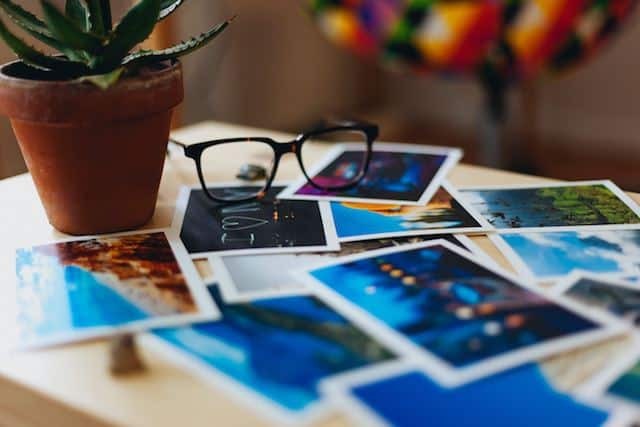 Furthermore, previous buyers who report that they or their partners have ordered photo products in the past but not in the last 12 months, and even some consumers who have never before ordered photo print products can also be moved toward purchases. The survey details respondents’ favorability to eight possible scenarios for improvement that vendors in the photo ecosystem can implement. Amazon Echo Look. More than a year after first announced, Echo Look, Amazon’s AI-infused fashion camera, which analyzes your clothing style and makes fashionable recommendations, is now shipping to the general public. Yet another device that falls in the long tail of cameras category. Facebook. How many dents in its reputation can this juggernaut take? Facebook has data-sharing partnerships with at least four Chinese electronics companies. And, reported a few days earlier, also with a bunch of phone and other device manufacturers. Now we know – thank you New York Times! Facebook and Apple. No surprise, Apple jumped on the anti-Facebook bandwagon by limiting user tracking when Liking or Sharing, among other things. Facebook and acquisitions. Dreaming about being acquired by Facebook? Money talks – but apparently only so much, according to the WhatsApp co-founders. Fascinating reading material. Facebook and teens. Perhaps the most damaging news of all in the last 7 days: after several false alarms in the past (those things happen, according to Mark Twain), this time it might very well be true: Teens Are Abandoning Facebook. For Real This Time. Apple WWDC. Mostly, a big yawn this year (or it reflects a more structural lagging behind Google in the area of photo functionality, as surmised by our industry friend Gary Pageau): much of the announcements can be categorized as overdue efforts to catch up with Google, launching easily implementable new features to milk the Facebook privacy controversies, and improving the performance of existing features. Apple Photos becomes a bit smarter and proactive in organizing your photos. It now also offers a For You tab, which leverages face recognition and shows Memories, featured photos, effect suggestions, or shared album activity. ARKit 2.0 now offers multi-player augmented reality gaming with shared objects. Also announced: a new AR file container format developed in conjunction with Pixar. The Universal Scene Description file, or USDZ for short, will offer the ability to display 3D rendered AR objects within a single “zero compression, unencrypted zip archive” file, optimized for sharing. macOS 10.14 – Apple’s computer OS will offer photo gallery-like views, plus a Continuity Camera feature for instant iPhone image and scan importing. Apple’s Core ML 2 is 30% faster thanks to batch prediction, while it cuts AI model sizes by up to 75%, according to Apple. Apple also announced Create ML, a new GPU-accelerated tool for native AI model training on Macs. Snapchat. We said it before: sound is the low-hanging fruit that could generate real fun or meaningful AR applications. It’s good to see Snapchat launching its first Lens that reacts to sound. 500px. Bye-bye marketplace: 500px will shutter its Market Place for premium royalty-free stock photos and will instead be selling its users photos exclusively through Visual China Group(the company that acquired 500px) in China and through Getty Images across the rest of the world. Fujifilm. Fujifilm has unveiled GetPix DASH, a photo kiosk platform specifically developed for printing images from smartphones or tablets. Camera+. With 14M sold copies to date, this old-time bestseller is being replaced by a completely revamped Camera+ 2 app. Previous PostWhat you missed at the 2018 LDV Vision SummitNext PostArticle 13 : What does it mean for photos ?